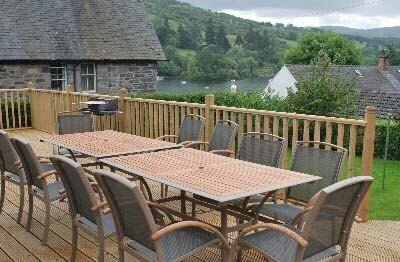 This delightful holiday house in Kenmore, nestles on the east end of Loch Tay in the heart of highland Perthshire. The Old Police House is located within minutes' walk of a golf course in the grounds of Taymouth Castle and closer still to Loch Tay, where it is possible to fish, hire boats and kayaks and take part in a number of watersports. There are numerous castles, whisky distilleries, visitor centres, bars and restaurants in the Aberfeldy area. Situated in the heart of the 16th century conservation village of Kenmore, a stone's throw from the Kenmore Hotel and beautiful Loch Tay, the Old Police House sleeps ten people comfortably in five bedrooms, and has very spacious glass fronted kitchen, living and dining areas overlooking the loch and private enclosed garden. 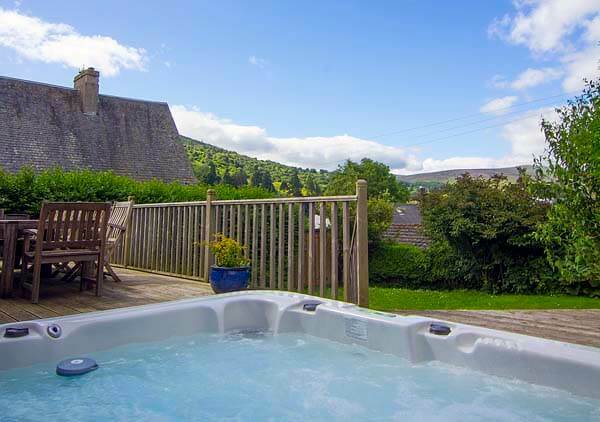 The house is perfect to accommodate large groups and is beautifully furnished with all the mod cons for the perfect break - it now has a private hot tub too for the ultimate relaxation! 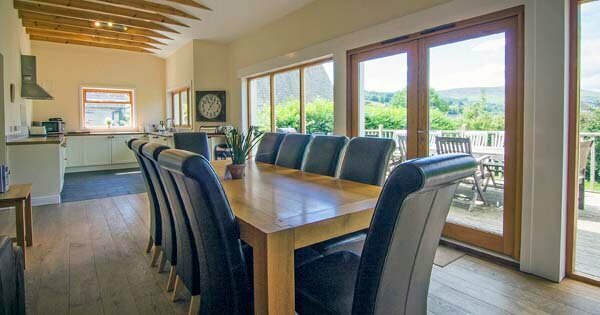 Formerly the Old Police House, the property is beautifully reburbished with a modern glass fronted extension overlooking the loch. 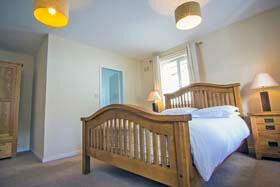 Furnished in a contemporary style, the house comfortably accommodates 10 adults for sleeping, dining and relaxing. 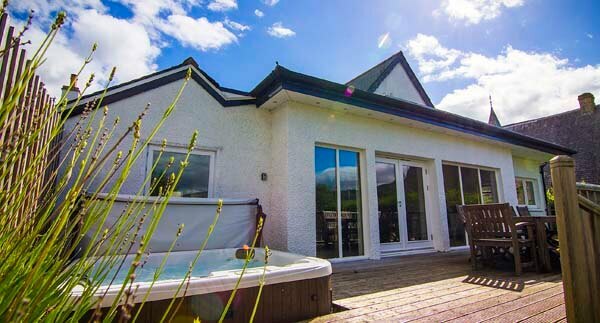 The property also benefits from a beautiful decking area with a hot tub, garden furniture and BBQ, with stunning views over the private garden and loch. The holiday house has a modern fully equipped kitchen and 3 bathrooms (bath and shower) and an extremely spacious living and dining area - there is also an additional play room with another TV and Xbox. The house has all the mod cons for a very relaxing break! This large self-catering house is situated in Kenmore, a delightful village next to Taymouth Castle, in highland Perthshire. From the south - drive up the A9 to Perth. Continue northwards up the A9 to Ballinluig, turn onto the A827 towards Aberfeldy, and continue straight through to Kenmore. From the west - follow the A85 to Killin, then the A827 to Kenmore. From the north - take the A9 southwards to Ballinluig, turn onto the A827 to Aberfeldy and continue straight through to Kenmore. Egyptian cotton bed linen, fluffy bath sheets, hand towels, bath mats, luxury hand soap, spice cupboard, initial supplies of loo roll, bin bags, dish washer tablets and washing up liquid. Rental periods are generally a week - Saturday to Saturday - but short breaks are welcome out of peak season. 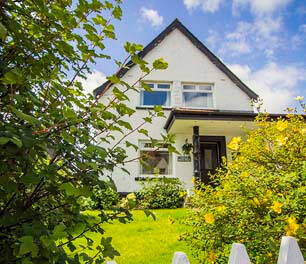 To book this fabulous self-catering holiday cottage in Kenmore click the enquiry button below and see availability and prices. 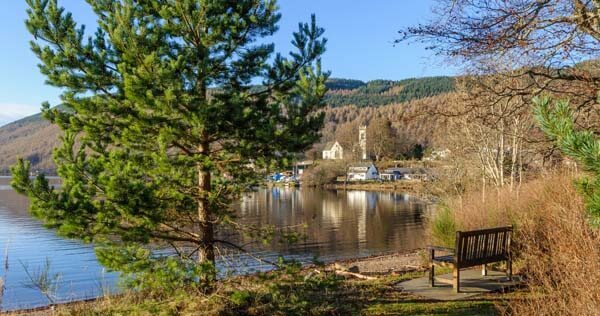 This fabulous Perthshire holiday property offers great accommodation for a group of friends or family in the pretty village of Kenmore, looking over Loch Tay. 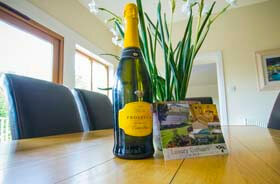 A great bonus is that it is a house with a hot tub - adding extra luxury to your break!